The Khatlon Livelihoods Support Project (KLSP) is the first IFAD-supported project in Tajikistan, a country where the institutional framework radically changed in the past 25 years. The formerly state-owned farms were restructured and re-organised by introducing inheritable land use rights in order to stimulate the recovery of agriculture production as well as allowing poor farmers to earn profits on their investments. 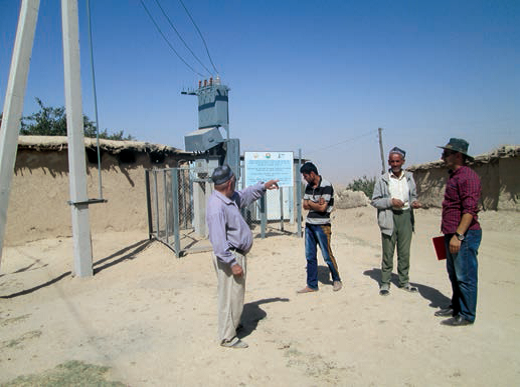 IFAD stepped in to support the Government of Tajikistan in facing problems that still persist after the land reform, in particular with the institutional gap that was created by the transition to a market-based economy. The KLSP objective was to empower Tajiki communities by building and strengthening an appropriate institutional and organizational framework, putting in place 82 village organizations (VOs) across the Muminobad and Shuroobod districts of the region. On 28 June 2016, a delegation from Tajikistan came to IFAD to present the results of the KLSP. IFAD took the opportunity to interview Turakul Murodov, KLSP Project Coordinator, in order to gather an insider's view on the experience of empowering farmers through their involvement in the VOs. in Dehdarozak village of Shuroobod district. The project shows how rural transformation can is accelerated when changes happen at the bottom and at the top level around the same time. First and foremost the project supported and developed beneficiaries' empowerment by introducing the concept and practice of autonomous decision-making processes. 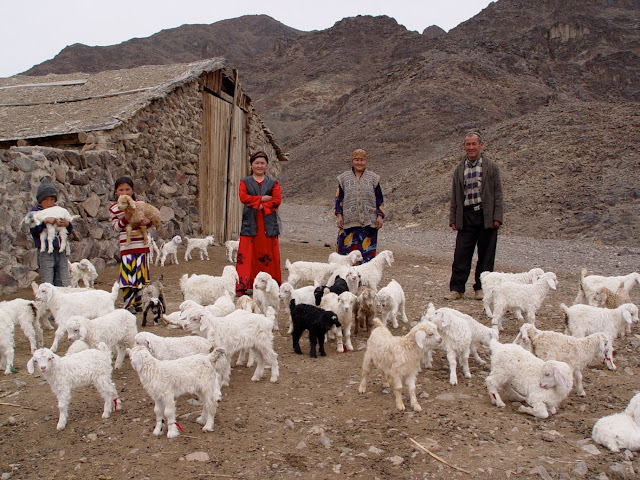 The adoption of an effective community-driven development approach, as exemplified by the stories collected in a publication titled IFAD in Tajikistan - The virtues of village organizations kick-started a cultural change that enable smallholders to determine their development direction. As a first step, VOs were assisted in the elaboration of Community Action Plans to define their own medium and long-term priorities. This exercise was instrumental to identify agricultural and non-agricultural needs and shape the organisation of training activities around these topics as well as to facilitate service provision and investments. Thanks to this prioritization exercise and taking advantage of the Community Development Fund, VOs designed sub-projects which invested in key sectors for the community development: physical infrastructures, agricultural machineries and equipment among the most popular investments. VOS have fostered transformations of traditional structures, overcoming the initial distrust of local farmers and enabling them to maximize the benefits of acting together, to boost their revenues from agriculture production, and to be the key players of those processes on which they depend and that are central to their rural livelihoods. "Initially, people looked at these structure without much interest, as they didn't know the meaning of VOs: what were the main duties, functions, which kind of obligations they entail, what kinds of problems to resolve through VOs, etc. Step by step, people were informed and as a result the project succeeded to establish 82 VOs [...]"
But the creation of VOs alone would have not been sufficient without presence of a supportive political environment provided by the local and national authorities. KLSP, Sarichashma Jamoat, Shuroobod district. "Before the project started in 2009 the National Government approved a National Law on VOs. The legislation and the project implementation are connected in the sense that without the legal framework it would not have been possible to establish VOs. In fact, they are legal entities and we had to register them after their establishment and receive the approval from the local authorities. "In the effort of providing local farmers with access to appropriate infrastructures, technologies, and relevant trainings, the project demonstrated that when smallholders are guided by coherent and concerted actions and fair incentives, they are willing to cooperate. In fact, a key lesson learnt from the results achieved by KLSP is the need to create the appropriate enabling conditions to support smallholders through collective action. Without the institutional and organizational support provided both by the government and the VOs it would have been unrealistic to expect poor farmers changing their practises, and multiple benefits for the overall community would have been lost. The VOs have proved to be fundamental entry points for support to rural development and for setting target groups' priorities (see some outcomes in the box). Clearly, the economic benefits generated from the better organizational and institutional environment contributed to the consolidation of the membership and profitability of VOs in a virtuous and mutual beneficial cycle. Particular attention should be given to the importance of VOs to support traditionally marginalized groups, such as women, helping them to face the cultural constraints underlying the society structure. Prior to the project, village women were mainly responsible for the traditional household tasks while nowadays they are active members of the VOs and of its decision-making structures. The project has had a notable impact on women's position in community, thanks to their direct involvement in the implementation phase and their constant participation to workshops and meetings. Young women are now the treasurers of VOs and are regularly consulted on how project activities could be improved. 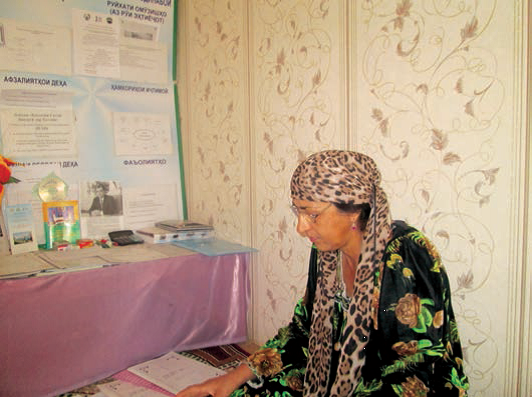 Since women tend to use a higher proportion of their income on children and household resources, the results achieved in terms of women's empowerment will add up to the other economic benefits brought by the project and is felt by overall community both from an efficiency and equity perspective.